The Vermont House of Representatives gave preliminary approval today to H.531, the Child Care Bill and H.513, the Broadband Expansion Bill. The Vermont House of Representatives gave preliminary approval to H.107, the Paid Family and Medical Leave Insurance bill, on a vote of 92-52. The Vermont House gave preliminary approval to the Fiscal Year 2020 Budget, H.542, and the Revenue Bill, H.541. Today, the House gave preliminary approval to H.97, the Fiscal Year 2019 Budget Adjustment. The bill ensures our state works for all Vermonters by maintaining fiscal responsibility while looking to our future. The Vermont House unanimously approved the Ethnic Studies Bill, H. 3, creating an Ethnic and Social Equity Standards Advisory Working Group to set standards and review student performance. The Vermont House of Representatives gave final approval to H.57, “an act relating to preserving the right to abortion,”on a vote of 106-36. This bill codifies and preserves Vermont women’s access to abortion. Welcome to the official website of Mitzi Johnson, the 91st Speaker of the Vermont House of Representatives. The Speaker of the House serves as the head of the Vermont House of Representatives, overseeing the body's activites as it works through its annual legislative process. This site was developed with you in mind. 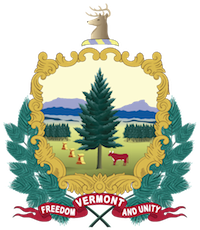 You can find updates from the Speaker, helpful resources, and useful tools to keep tabs on Vermont's legislative process. Browse around and check back regularly!